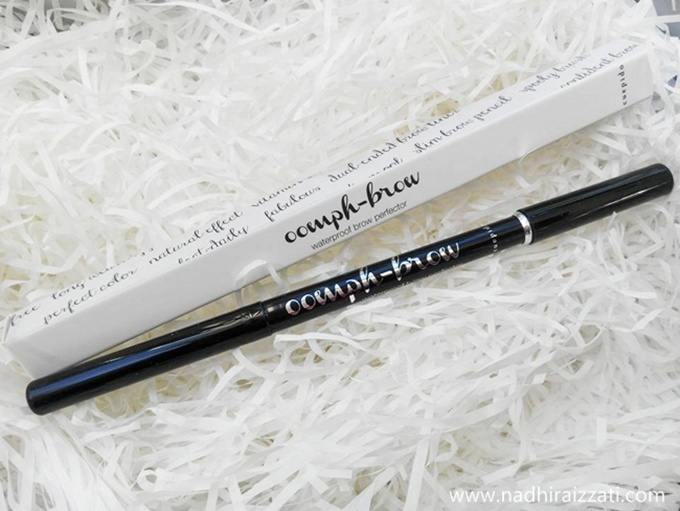 Yes another product review for Cuepido Cosmetics Malaysia !! 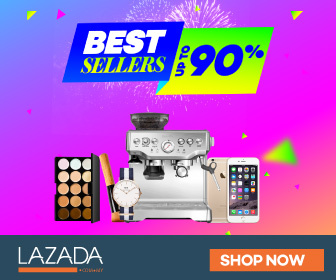 This time they send me another three products, but first I just wanted to tell you that I first heard about this brand about a year ago, and I've been loving and using their product ever since. Yes I still use some of their products and been featuring them in a few of my blogpost and makeup tutorial video on my Youtube Channel. 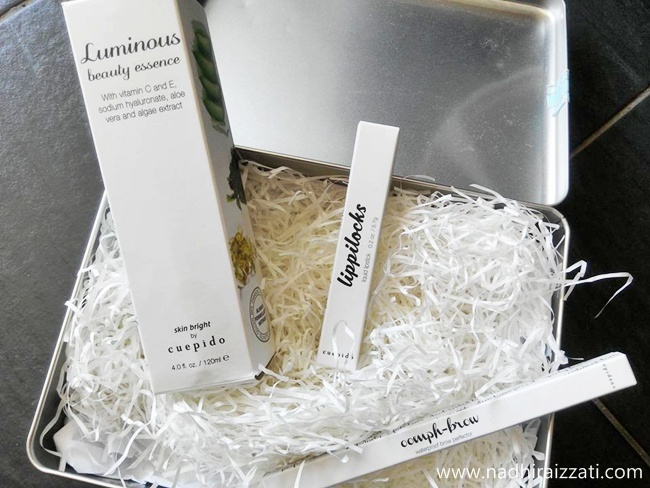 Click here to read my first product review for Cuepido Cosmetics Malaysia. Last month, these babies came on my front door right on time, exactly on my birthday! So this is like a birthday present for me haha! As you can see, I got three items here. The beauty essence, lip product, and also eyebrow pencil. Let me go through one by one. *oh I feel so excited! I always told my readers and friends to always feed the skin with something good. In this case, skincare! 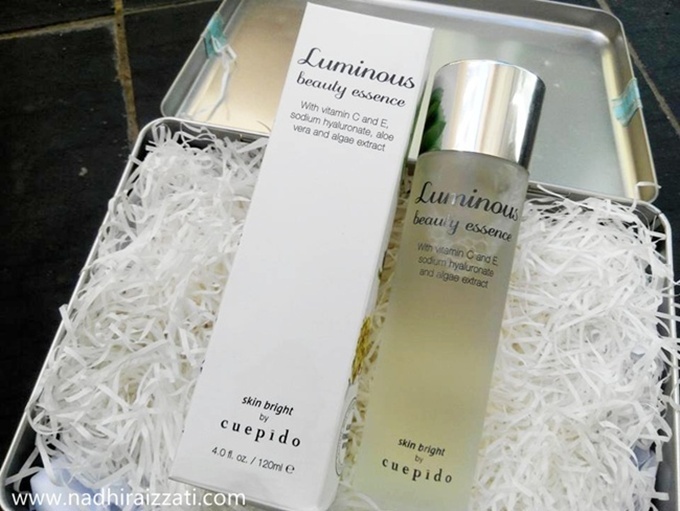 Cuepido come up with this Luminous Beauty Essence to helps improve the skin texture, contributes to a balanced and luminous complexion with result that increase over time. The good thing about this essence is that it is suitable for all skin types. So those with sensitive skin can also try out this product to protect the skin and minimize your dark spots. 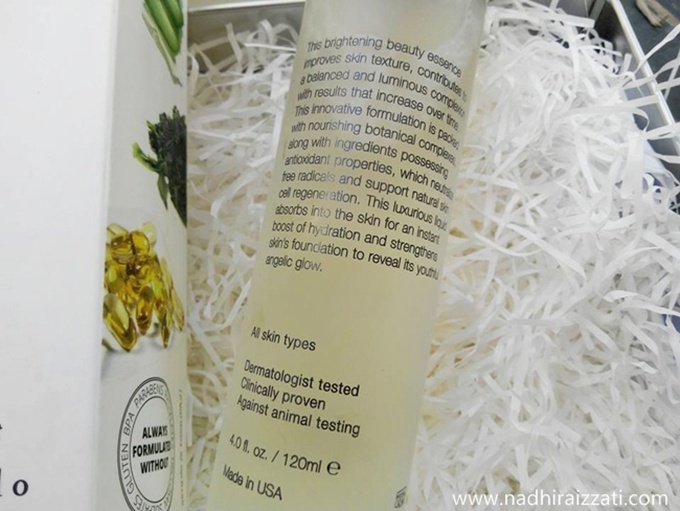 So far I've been using this Luminous Beauty Essence for a month now and I personally think it is very important to have skincare or beauty essence that have a lot of good vitamins in it which helps you to get a nice skin, and achieve that youthful glow. Good thing Cuepido created something that support skin cell regeneration. It is recommended to use twice daily. But you know me, sometimes I forgot so I only applied once a day (sometimes twice). 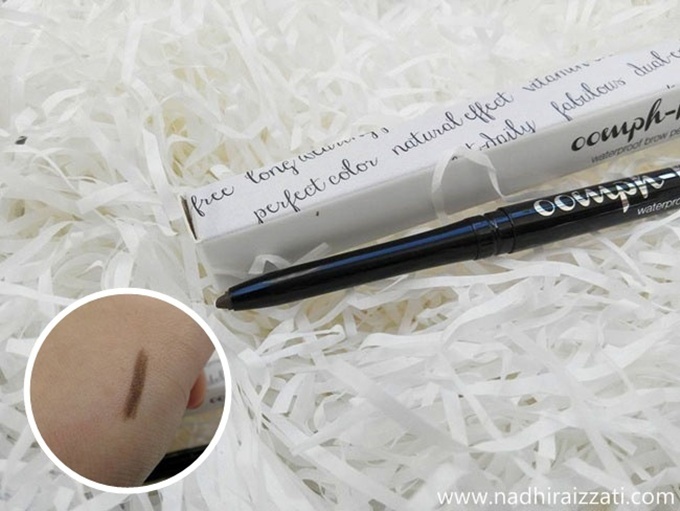 Dual-ended eyebrow pencil are very convenient. 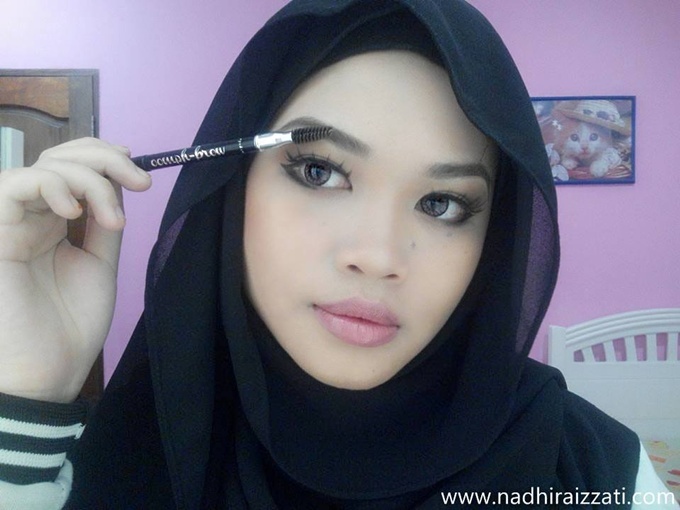 Draw your eyebrow, and brush it to get more natural looking brows. Let me tell you, it has been a very long time since I draw my eyebrows using an eyebrow pencil. So yeah first attempt of using this Oomph-brow, I was super nervous but it turned out perfectly fine! I noticed the texture is a bit creamy, so when you using this product, make sure you brush your eyebrow with the spooly provided. Okay talk about the spooly, I am giving a clap for it. Why? For some reason, the spooly makes my eyebrows look perfect and super natural looking. Emm well ofcourse it can't never be natural since I drew it but you know what I mean. Without grooming it with the spooly, my eyebrows appear clumpy and not clean. The reason why is because of the creamy texture of the eyebrow pencil, but also, because it is creamy, I feel very easy to draw the eyebrow with the shape that I wanted. Another good thing about this Oomph-brow is that it is waterproof. I already tested it, pour some water on the swatches at the back of my hand, and the colour doesn't move. Please take note, it is waterproof not smudge-proof. The colour is in dark brown. Look nice and not too intense. This lip colour is so pigmented, and has like a buttery liquid texture which makes the application glides smoothly on my lips. Looking at the swatch above, I thought it's going to be too glossy on the lips since it does not dry matte. But surprisingly it turn out pretty well and the colour is so nice on me! Although it is like a melted-buttery texture, but I feel it is lightweight and comfortable on the lips. So yeyy for that! *all review above are based on my own opinion and experienced, it may be differ from others. Luminous Beauty Essense is also nominated for the FEMALE Beauty Awards 2016! It will give you a hydrated brighter youthful complexion that increase over time. So don't forget to apply twice a day. Remember that! I also trying my best not to forget. I usually used once in the morning after shower, and once before i'm off to bed. 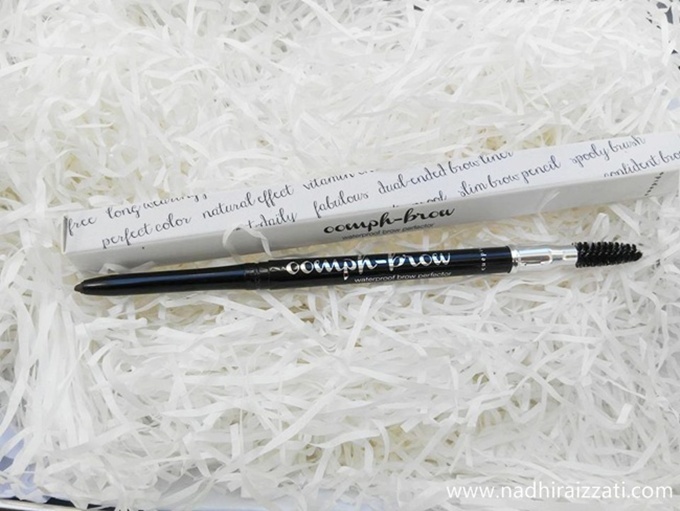 For Oomph-Brow waterproof pencil, it is actually a 2-in-1 formula which contains brow wax and powder for the perfect brow. 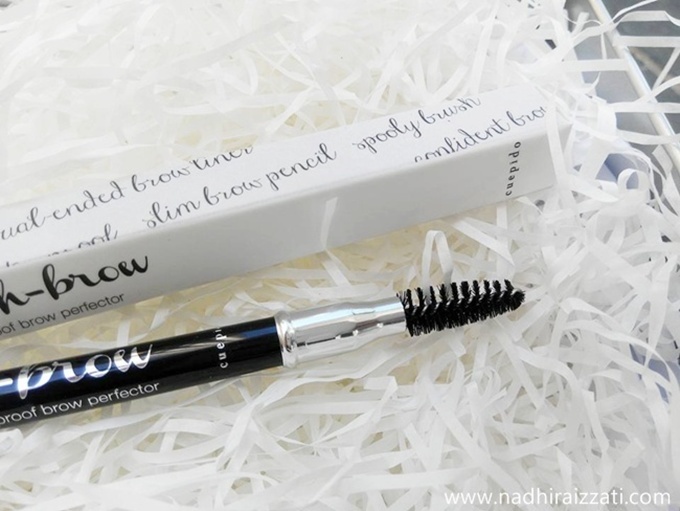 Can be use as brow pencil, brow liner, and natural eyeliner. Can also blend it with a eye definer brush. Because it is a universal shade, it will match with your skin tone and brow hair colour for your most natural brow colour. Can you see on my pictures above? The colour of my brows look natural, not too dark (which I normally prefer), and not too light. And about the fragrance that I mentioned above, I've been told that all Cuepido's products are fragrance-free. So there is no synthetics fragrance in the Lippilocks. The smell that I mentioned above are derived from essential oils. 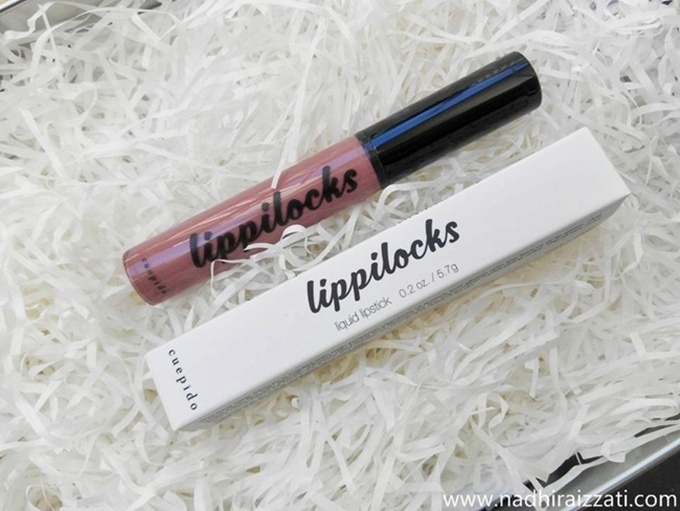 It is enriched with jojoba and vitamins for moisturized lips while giving a 'lipstick-lipgloss' effect.